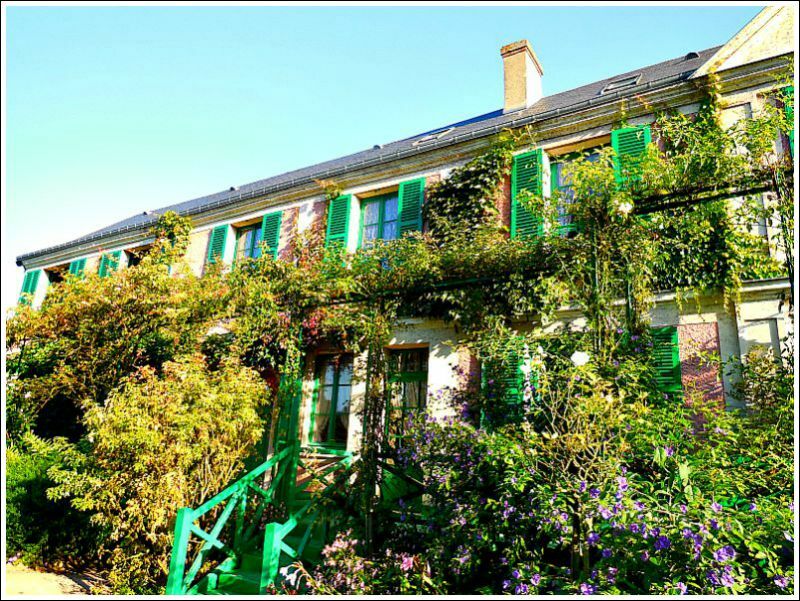 A Breath of Fresh Air: Claude Monet's Giverny. 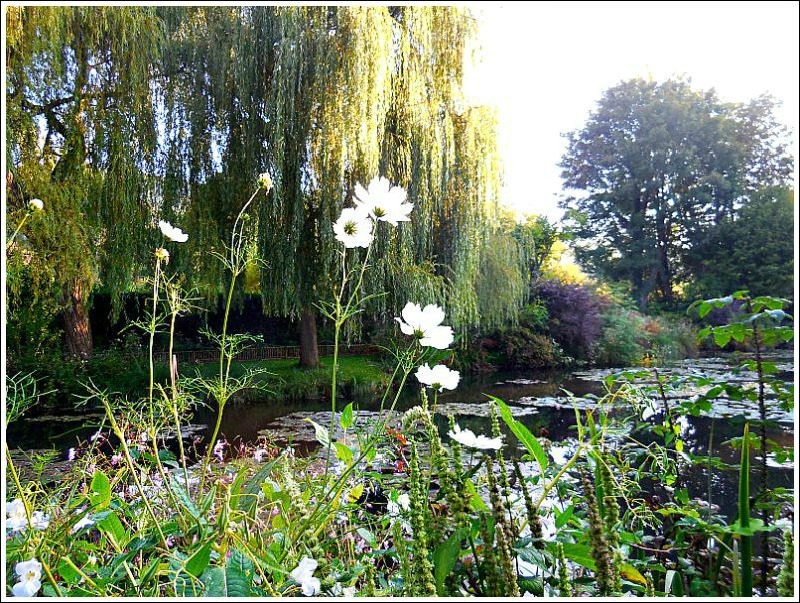 . . . . . . . .
Claude Monet's Giverny. . . . . . . . . It was lovelier than I ever imagined! Especially for the time of year. the loveliest small, almost natural gardens, in the entire world. just a few words here. Hope you love it all as much as I did. Thank you for sharing! When I was in France it was March and the gardens were not open to the public, so I missed seeing it. Beautiful. Oh I do love it Mary! Your photos are a joy to see - I had planned to visit it this year too but sadly ran out of time - as so often happens. 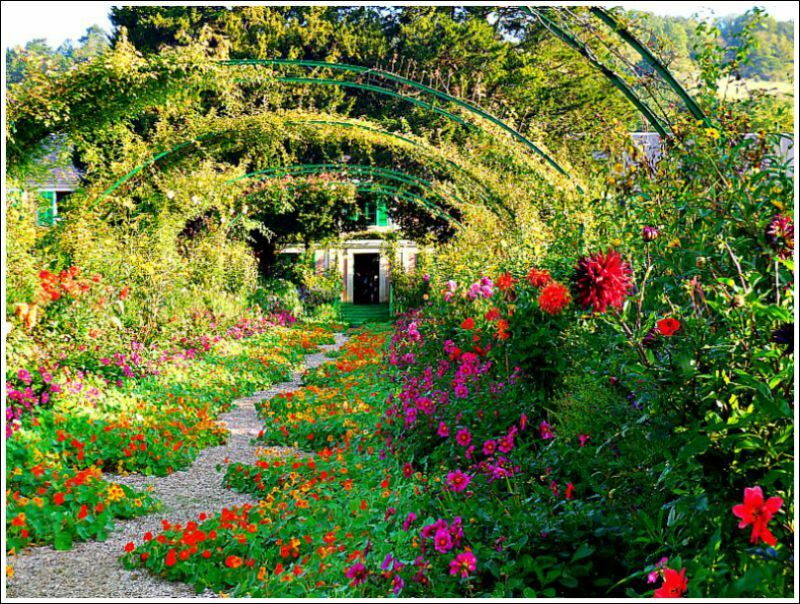 The arched walkway with nasturtiums is out of this world. A garden so artistically planted to grace any season. in beautiful gardens. I would love to visit there one day. I lost count of how many times we were in Paris but we never got to Giverny .. and Monet is one of my absolute favorite artists. Mary, I knew it would be lovely. We visited about this same time of year. It's a special place indeed! Glad you are enjoying beautiful weather. Oh Mary! I feel I know that garden even though I have never been there. I wasn't familiar with the nasturtium pathway. Breath taking scenes! Breathtaking! One of the most beautiful gardens I have ever visited in any season. Your Nikon Coolpix did just fine because it really is the artistry of the photo taker. Good job! Wowza! !Beautiful and well edited images. I love them all. 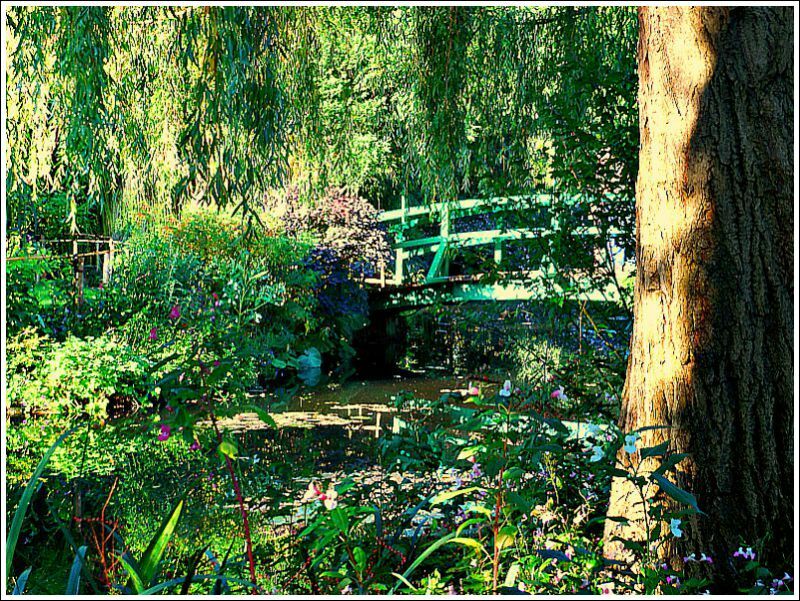 Love all your images taken in Monets garden, I must put that on my list of places to visit. Coolpix camera or not, those photos are fabulous, it made me feel like I was there peeping over your shoulder. Told you so, didn't I? Truly one of the most beautiful places on earth--even this late in the year. Monet planted for all seasons. Slightly off subject: I love to read the comments posted by your readers. Is there any particular reason the print is extremely light in color? Shows much lighter even than the name of person commenting. For me, being now more far-sighted than ever, it is extremely hard to read, even when I can enlarge on my iPad. Lucky you, Mary! 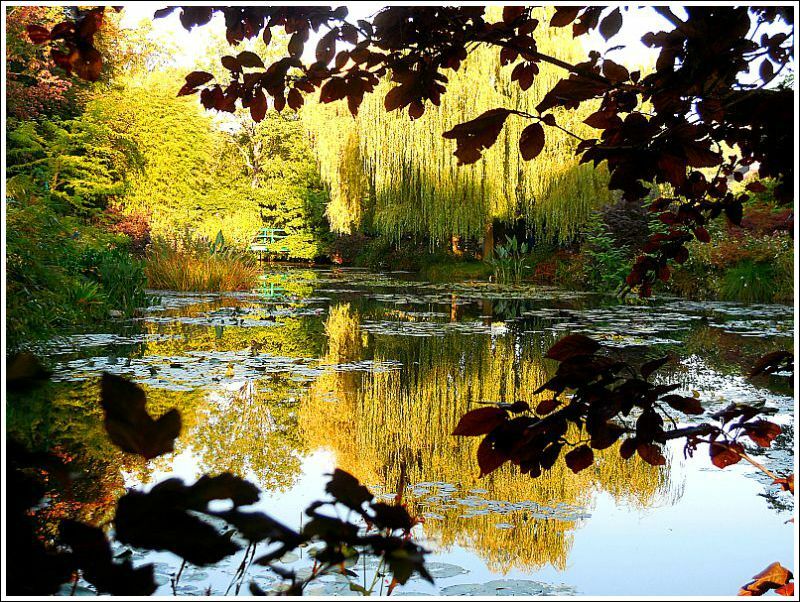 I've always wanted to visit Giverny and your beautiful photos remind me why. 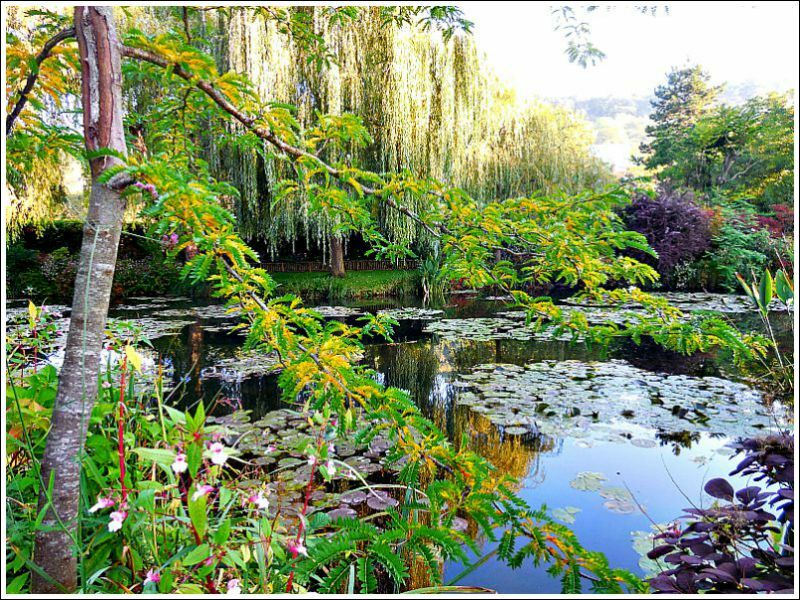 It looks really beautiful, Giverny is one of those places that I'd really love to visit one day. Such dappled loveliness. The light filtering through the trees onto the water is enchanting. 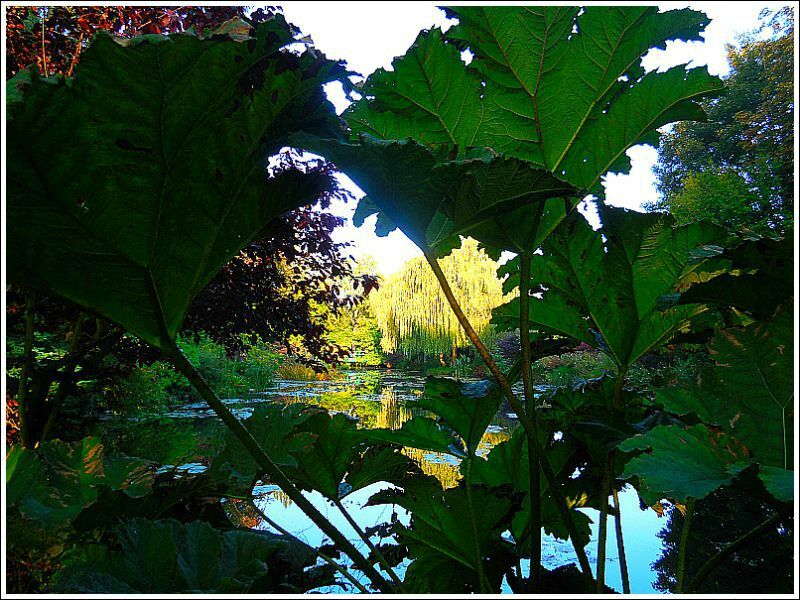 Beautiful photos, Mary and another place to add to my list of gardens to visit. Isn't it grand that Monet painted from his own garden? He was inspired by the beauty close at hand, much as many bloggers strive to focus on the beauty in every day life. I'm looking forward to seeing your photos of his home as well. Isn't it the most amazing place? I'm glad you had the chance to visit it. Stunning and beautiful! I think your Coolpix takes really cool pics. :) Enjoy! I had gotten so behind with you, I had to keep scrolling back! 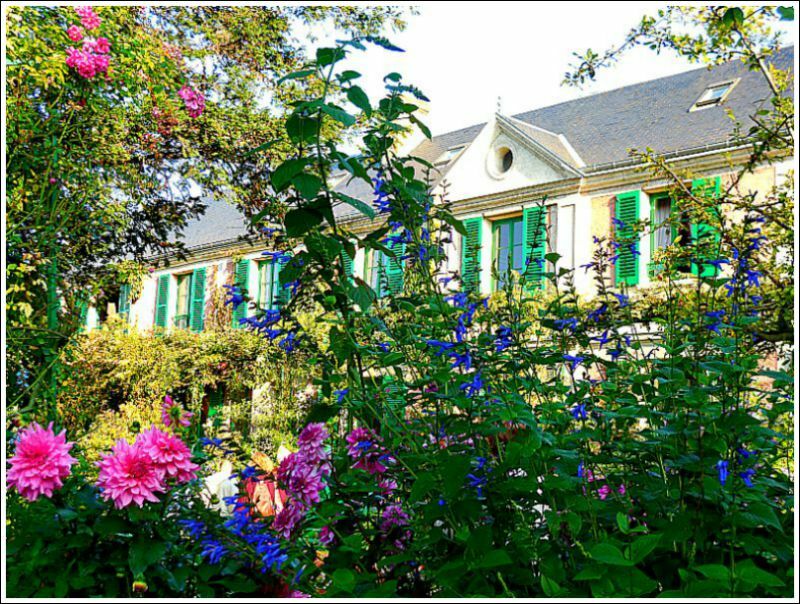 Well, I realized you had been in France, and this post of the Giverny gardens just brought tears to my eyes! This reminds me so much of my teen years with my Mom when I was painting a good bit and so was she, and we visited Art Museums and raptured over the Impressionists! They will always be my first love even though I went on to adore the Hudson River Movement and landscapes of that period. 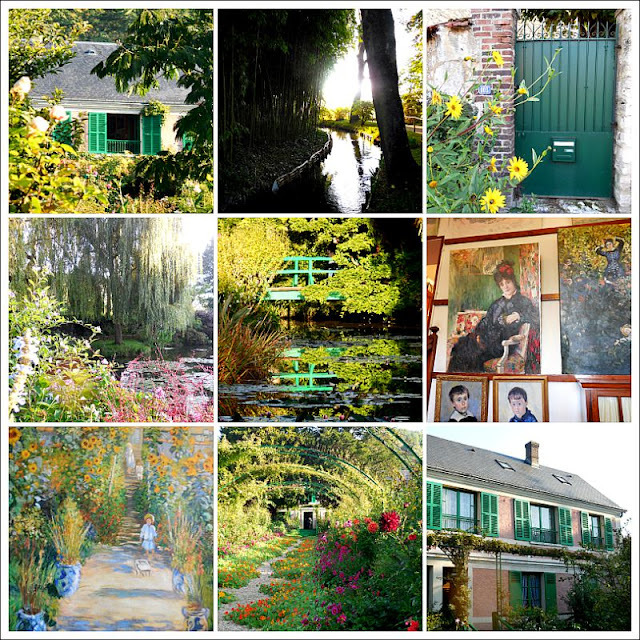 The magical beauty of Monet's works just thrills one's heart, and I would LOVE to go to Giverny! How wonderful to see your post with its beautiful photos! Btw to respond to what you said about the cruise, and the Queen Mary, we did get to tour the inside of the Queen Mary in the 80's but to know someone who actually sailed on her is a delight! Yes, those stabilizers make a HUGE difference in sailing now, but the cruise was relatively inexpensive (albeit we weren't going very far! :-) ) at $360. apiece, I think, if I remember correctly...of course there were two of us, and with all the other things we had to pay for (our hotel room in CA, food going and coming, the tips and souvenirs) it was all over $1,000. But still not bad! Well I'm here now! I am visually struck by two things: the color of that bridge and that beautiful spread of nasturtiums along the path. Never forget. . . . . . . . . . . .
Good Morning from Paris. . . . . . . It's in the bag. . . . . . . . . . .
Before I leave. . . . . . .
Time for house warming. . . . . . . . . .
Moveable art. . . . . . . . . . . . .
Ornamentation by Nature. . . . . . . . . . . The country drive. . . . . . . . . . . .
Faraway Friend in New Zealand. . . . . . . . . . The 'money cat'. . . . . . . . . . The Table. . . . . . . . Essential elements . . . . . . .
Dreaming of home in Devon. . . . . . .
A Saturday 'gypsy moment' . . . . . . . . Autumn - perhaps time for a picnic. Baking the last of the Figs . . . . . . .